Hi. My passion for travel motivates me to host guests. I am a licensed travel guide and have been working in this industry for 6 years. I have shown Hyderabad to people from all over the world. I particularly love sharing stories onÂ history, arts and culture of my city. Find out all about the cityâ€™s glorious past as Karunanidhi takes you to various landmarks. Well-known as the city of Nizams, Hyderabad is full of beautiful monuments and old markets. Begin your walk at Charminar, a 16th century mosque built by Mohammad Quli Qutb Shah. The faÃ§ade has Indo-Islamic architecture and is a beauty to behold. Visit Makkah Masjid, a grand mosque that was built with bricks made of soil brought from Mecca (the holiest religious site of Islam). After that, walk towards Laad Bazaar, a kilometre-long old market famous for lac bangles, handloom fabric, perfumes and all kinds of jewellery. End the trip with a visit to Chowmohalla Palace that was awarded the Asia Pacific Merit award for cultural heritage conservation by UNESCO. Places of interest: Charminar, Makkah Masjid, Laad Bazaar, Chowmohalla Palace. Tip: Wear comfortable walking shoes and stay hydrated. 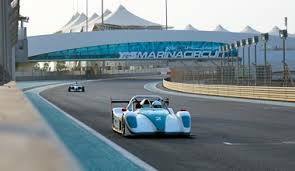 Zoom past Abu Dhabi's largest F1 circuit with a pro-driver. Explore the scenic landscapes of Ernakulam on a Royal Enfield. Enjoy a day outing filled with excitement and fun!